WHY Our Program? What Sets Us Apart? RECOMMENDED BY JASPER ENGINES, OUR CUSTOMERS, & SOGGDA! Our commitment to SERVICE - RESULTS - EXCELLENCE is reflected directly by being recommended by such outstanding recommendations. I've worked with the JASPER Engines team to ensure every aspect of our program exceeds their expectations and am continually looking for ways to ensure you gain more results from participating. We frequently go back and make changes to update websites and are available to answer your questions at your convenience. You get answers when you can and we have an open door policy so you can reach out to the President when you need to. All of our programs are 100% approved for up to 100% website coop reimbursement and up to 50% monthly hosting cost coop reimbursement based on your available balance and paid to you via check or credit on your account by JASPER. We simply process the paperwork for you but do not get paid by JASPER. RESULTS. TOP 10 AUTOMOTIVE WEBSITE FOR 2016 & 2015. TOP 20 Government Website 2016. COVER OF RATCHET+WRENCH. 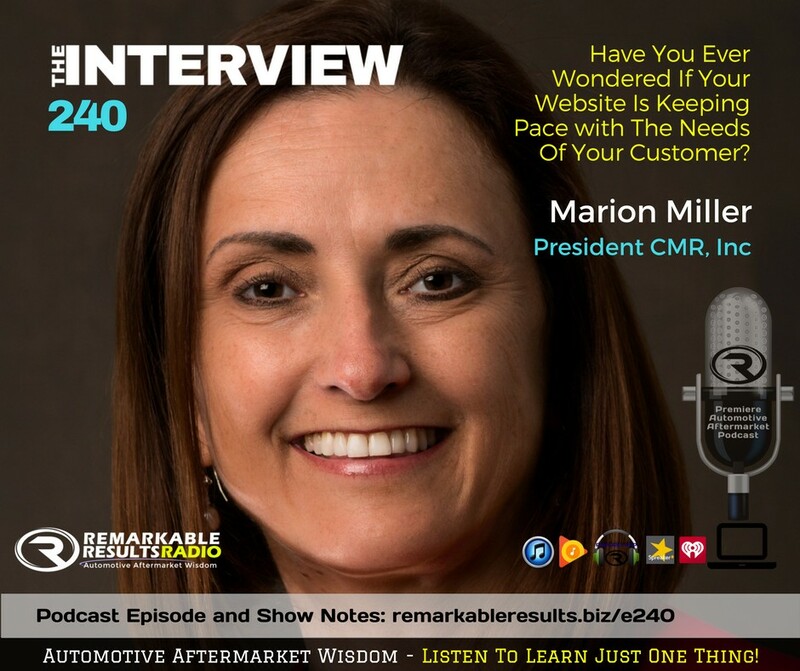 PODCAST FOR REMARKABLE RESULTS RADIO. We have achieved great results and are proud of those accolades but the recommendations by our customers JASPER Engines who celebrates 75 years in the automotive industry and now SOGGDA who has served their members since 1948 are larger accomplishments. These recommendation are HARD to earn and prove that we work hard to KEEP them every day. Our sites are frequently touted for their design and ease of navigation. They are all deep with content and UNIQUE. ALL your brands - services - products and testimonials all in a newspaper setting that is easy to navigate and appear seamless with an efficient program that allows GOOGLE and the customer to find what they need quickly. Think of it like a car with a performance engine under the hood. You can have it in any vehicle but the car can be as slick with as many features for your convenience as you like such as paint job and chrome wheels or heated seats and blue tooth with navigation installed. THAT is what the different websites for our program is like. ENGINE is the same but the features are different depending on what you want to SEE on the outside and there is a bit of function in do you want to have 4 on the floor and a different transmission in there to access MORE of the horsepower or are you content in the standard horsepower. UPGRADING is easy as you can step up when you want to the next level with just a little tweaking "just like you do in the shop". You should own your website! Here you own the pages and design about you. We own our program and those specialty pages. You should be able to make changes IF you want to! Here you can make changes from the front of the site. IF you blow it up - we have your back. Give us a call and we will put up one of the 12 days of complete daily backups we have for you at NO CHARGE. You should be able to add content IF you want to! Using our CMR EasyNews is just that...EASY. From your phone - tablet - computer it takes a couple of minutes to add photos and articles even a Youtube video! *If we have Admin access to your Facebook - Twitter, it goes from your website to those programs and links back to your website from there! NO LONG CONTRACTS! If we can't keep you based on great service then we don't deserve you. Our SMART List program is a 6 month commitment as it takes so much work to get it working efficiently combined with our exceptionally low rate. a. SUBMIT A TICKET button on the bottom of your website goes straight to IT and Project Manager. Works like a charm. Bottom line on what sets us apart once you take the website out of the mix and our seriously different approach is the CUSTOMER SERVICE aspect. We simply are not satisfied unless you are and we look at each project as it were our business - our money - our goals. What would it take to succeed and how would we do it. Some times the answer is for you to stay with what you have and often the solution is NOT the biggest and best package we offer. That shocks customers but we need you to be successful and grow your business FIRST. That approach is the reason we are so highly recommended by so many. That and the fact that we Love What We Do! WHO PROCESSES MY CO-OP? We send your co-op billing in and JASPER sends you available funds by check or places a credit on your account per your preferences. You pay us directly. Website billing is sent in after a site is launched and hosting in January if you pay monthly for the entire calendar year. If you pay in a larger billing cycle (quarterly, semi-annual, or annual) then it is sent in at that time. WHAT DOES CO-OP PAY FOR? Your initial website is approved for up to 100% co-op reimbursement based on your available funds. Once built you own the design and pages about you specifically. The pages about products and services specifically or content program related belong to us as well as our signature LIS and CMR EasyNews programs which are our proprietary software. Monthly Hosting - SMART List - SEO costs are also approved for up to 50% reimbursement based on your available co-op funds. *Your co-op funds are available to use January 1st and expire December 31st each year. They are based on sales from the previous year of JASPER products. RESPONSIVE - SMART PHONE WEBSITE ONLY $249 WITH 1-YEAR COMMITMENT a website that 60+ pages deep and allows customers to request appointments - access coupons - review your services, and get directions plus so much more! You are MISSING business! 94% of smartphone users look for local information on their phones and do not leave home without them. Google projects by 2020 that there will 50 Billion mobile devices up from 15 Billion in 2016! Also, 40% of search will be verbal! A) SIMPLE We do all the work and make the changes you want, keep it updated with 4 articles added monthly, and if we have access to your social media it automatically feeds into them! Plus you can add articles in minutes yourself and change standard pages! B) EASY We send in your coop information when we build the website and at the end of the year. JASPER checks your coop balance and sends you a check. C) FAST ANSWERS! We answer the phone, return emails & you have a Submit a Ticket Button. Read Testimonials! D) PRICE! The JASPER program gets you deep discounts! Plus co-op reimbursement based on your available balance on the website & annual programming-hosting. You will not find another website program with our background, awards, pricing, and dedication to customer service! E) RESULTS When you search on line you want the: BEST most IN DEPTH and CURRENT answer for that question. Our websites deliver that in spades as a newspaper platform for you and can pivot in any direction as a result. They are deep to begin with and if you use our SEO program have 12 articles added Minimum monthly to the website for SEO as well as to your Social - Facebook | Twitter | LinkedIN platforms......Best $150/mo you have EVER spent! F) STEP UP - SAVE $. GET FOUND! Everyone is online searching....if you are not there, you can't be found by new customers! Is there a contract? NO, if we can't earn and keep your business then we don't deserve it. Simply give me 30 days notice, but we own the JASPER, and news system in it's entirety. Do I own my website? YES, you own the website design framework and your URL address - per the above, we own the JASPER program and entire news system outside of any personal news on or about your business. $199/MO SMART List: 72 Online Directories Controlled & Enhanced so as to become advertising venues with images, logos, brands, and services listed vs. name & address only - Duplicate Listings Suppressed. Monthly Control and Review with Changes in Real Time Available. $349/MO SEO+SMART List: Add the SEO Program which gives you Minimum of 3 Weekly Articles on Website & Facebook-Twitter to grow both programs. Helps GOOGLE SEO and Social Media Growth. ***Any article on social media will link BACK to your website! A Win-Win! Real issues are addressed at our reduced rate of $59/hour. Can I break my initial website cost up into payments? YES, we suggest 2 or 4 payments. How do I get my JASPER coop? EASY, I send it in to be processed when the website goes live and you get a check from JASPER based on what you have available. At the end of the year I send in all the website hosting bills as well as a complete list for all transactions to JASPER. Can I add articles? YES. It takes about 5 minutes the first time (with photos). You'll get faster! Our proprietary system is simple, login - fill in the blanks - set start and end dates if you want to - add photos - hit enter and DONE. *depending on your internet speed and how large the photos are. Add multiple photos! As slide shows or simple photo lineup. It's that EASY with our CMR EasyNews which is cutting edge technology as a content / news management interface and being offered to other outside media companies for their clients.